The same applies to your book cover. It can’t just depict one scene or aspect. It must communicate, on some level, what your story is about. Love, loss, madness, transcendence, etc. Fiction covers often feature people and scenes melded together from stock libraries. If done well, this method can capture your story’s essence, but has its issues. Recently, I spotted an indie romance featuring the same stock cover character as a big press mystery. Many nonfiction covers solve this problem by emphasizing text. Malcolm Gladwell’s books feature a bold title, white background, and small symbolic image. Jeff Goins’ Wrecked is similar. But what if you want a more personal approach to your memoir or book of poetry? I talked with Susan Shankin, a designer and art director with several iconic covers in her portfolio, about how she honors an author’s individual vision while staying true to the bigger story. Susan spent seven years crafting covers for Jeremy P. Tarcher, Inc. (now Penguin Random House). The production schedule could be grueling. Tarcher published 15-20 books, twice a year. 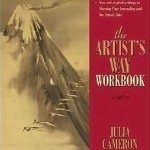 You might recognize one of Susan’s projects—The Artist’s Way by Julia Cameron. 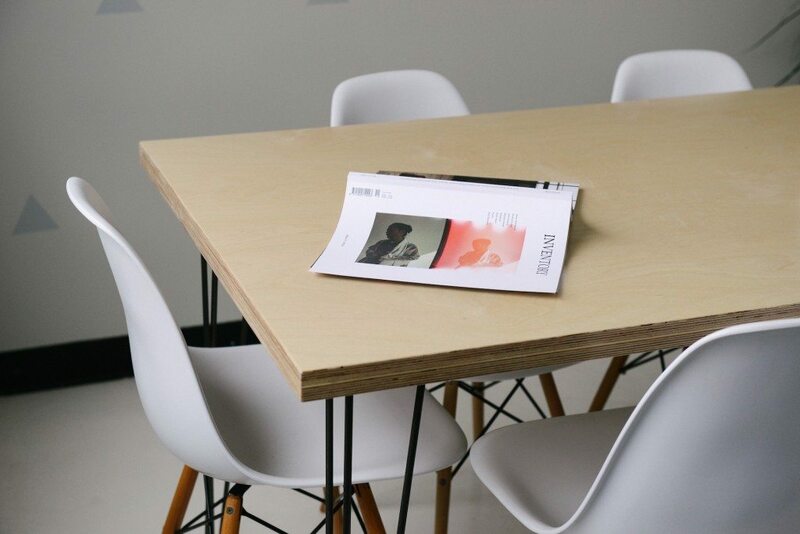 She and designer Mauna Eichner crafted several prototypes, but “at the meeting with Jeremy Tarcher, the editors and marketing people, everyone loved that cover” we instantly recognize today. 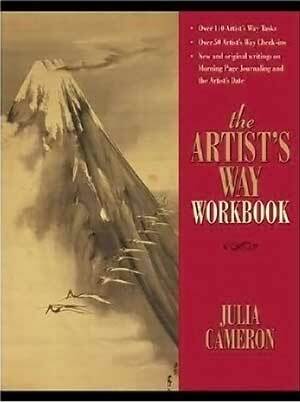 Surprisingly, as one of many projects approved at the meeting, The Artist’s Way wasn’t pegged as a bestseller, but “as soon as it hit the market it was off and running.” This shows how a meaningful cover, great material, and a bit of serendipity can create a sensation. First, the author’s comments and direction; second, the book’s content; and third, by my gut feeling. If an author has a clear idea of the cover, I will always want to honor their vision with showing a layout from their perspective. I spend a lot of time with the typography. I may try over 40 different fonts for the title. I’m looking for a certain feeling that is evoked in the font that represents the spirit of the book. In a way I think of designing as solving a puzzle—how to get the pieces to fit together to make a strong, interesting statement that reflects the content. It comes back to that question, “What is your story about?” Here’s Susan’s process on two other nonfiction projects. Susan acknowledges that “graphic design is the merging of art and business.” A designer is hired to produce someone else’s vision. 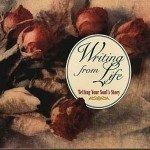 This happened with Writing From Life by Susan Wittig Albert, Ph.D. It’s from Inner Work Books, the same Tarcher series that birthed The Artist’s Way. I was so surprised when this cover was chosen because I thought they would never go for a cover with dried, dead flowers. But everyone, including the author, loved it. 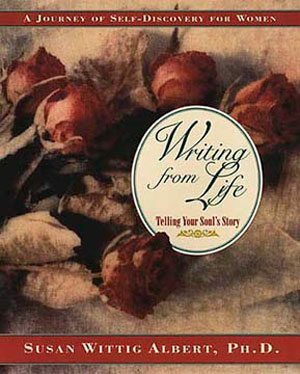 But Writing From Life provides a framework for a woman to work through the seasons of her life. What better image than dried roses, often kept as a memento of a life-changing event? 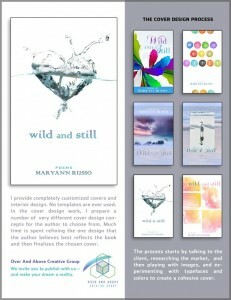 Susan recently completed the cover for Wild and Still, a book of poetry by Maryann Russo. Maryann lives by the beach and runs everyday in the sand. Many of her poems reference nature, and use the ocean as a metaphor for life (much like Mary Oliver). Susan created classic images of sand and surf, but the author most identified with her unusual illustration of a heart made from water. Marion Roach Smith also observes, “Appreciating the difference between the personal tale and its value and the universal tale and its appeal is hard won.” Communicating that universal tale via your cover is even harder, especially if it’s a nonfiction piece close to your heart. Hiring an experienced designer can be more expensive than choosing a stock cover, but for certain projects, the results will be worth it. 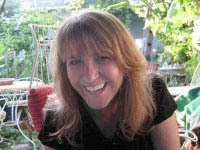 Thank you to Susan Shankin for sharing her approach to crafting nonfiction covers. 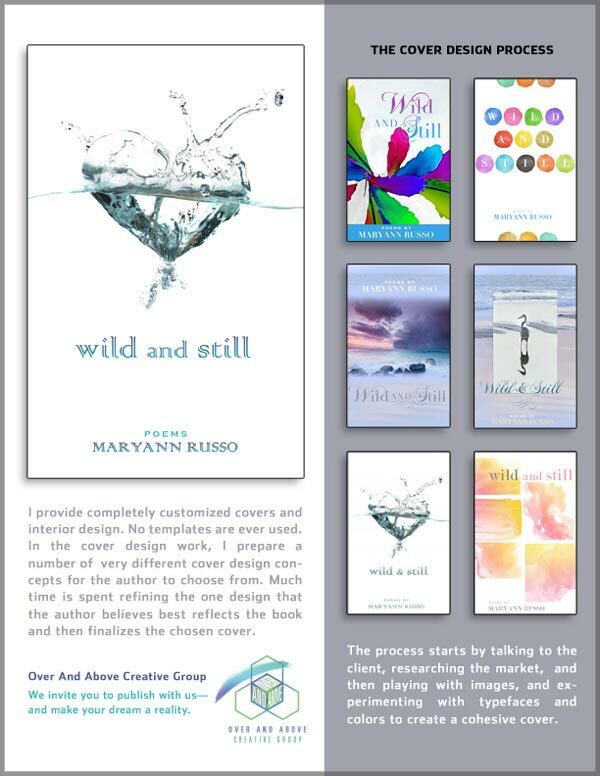 Susan is an art director and designer with more than 20 years’ experience creating original book design concepts and interior layout. 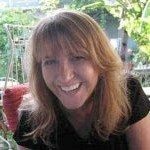 She is currently co-owner and Art Director of Over and Above Creative, a group of professionals in publishing who assist writers, authors, and corporate clients develop their ideas and publish them in effective formats—books, e-books, articles, reports, and more. « Crowdfunding for Authors: Is it right and is it right for you? Thank you, Florence! I was fascinated by Susan’s process and how she tries to honor an author’s bigger message. So true, that old adage about “a picture…”.